I was looking at a pic of my oldest son the other day and thought to myself. Look at that smile! Not a care in the world. He radiates geniune happiness and loves life. I think as adults we get caught up in making money and working at a job we often times hate. We trade our precious time for a few bucks, are on a schedule and never spend enough time, well, really living. No not existing…. But really living. And by that I mean enjoying what you are spending your time doing, everyday. Living with purpose, with fulfillment. 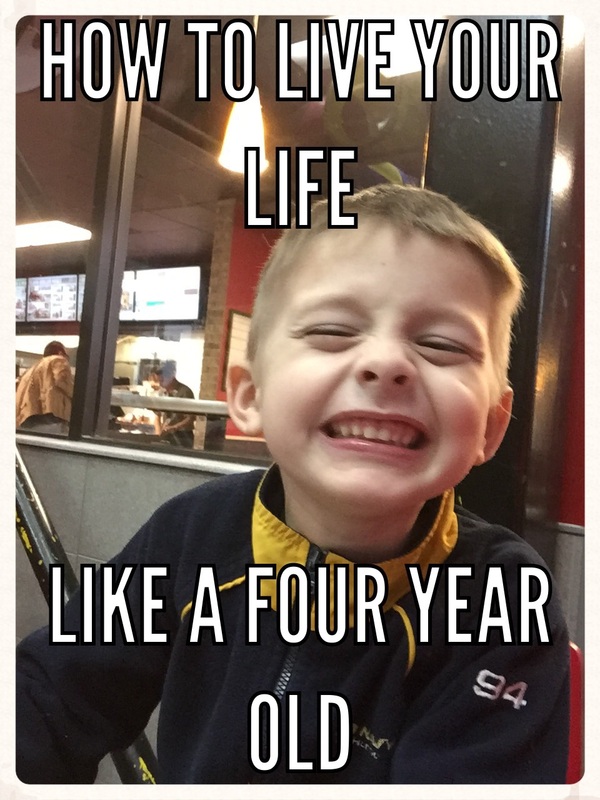 So how do you live ‘like a four year old’? #1 Don’t let the little things bother you. I spent too much of my life overanalyzing stupid things like, why did that person say this or do that. I’ve come to the realization that the only persons actions I can control are my own. How I react to the things people do make all the difference. #2 Make time to do something that brings you joy everyday. Whether that means taking a walk after dinner, playing with your kids outside doing cartwheels on the lawn, put on a pair of roller skates or just allow yourself to indulge in a bubble bath and read a magazine. #3 Don’t let your life be all work and no play. This past year I have been on kind of a spirtual and personal journey. I have a lot of goals that I’v been putting off for years that I only this year, started really pursuing. Most of my goals have been financial and business related so this next year (2016) I’m making it a point to find more balance, not work less but just enjoy life more. #4 Take time for friendships. This is something I’m guilty of not doing as much as I should. I need to take more time out for friends. I find that picking up the phone and talking with a friend you haven’t talked to in a while really helps your mental mindset. Or meeting up for lunch. #5 Enjoy little moments and little victories. If you want to really enjoy life. View life though the eyes of a child! Kids light up when they accomplish little victories like catching a ball or putting a puzzle together. Why not enjoy little victories too? We as adults put so much pressure on ourselves to do better, have more, buy a bigger house, t.v or car. Celebrate the little things like getting your daily to-do list done or finishing that project you’ve been putting off. #5 Do what you love. If you are working at a job you hate find a way to transition into doing what you love. Find a way to make a living doing what you love. For me this is writing and making things. I write to help people. I feel like that is my calling and purpose on this earth. I remember working jobs I hated just to make a living and it was literally soul crushing. Everyday I would wake up feeling like a robot, like I was living life on autopilot just going though the motions. Now I own my time i make money the way I want to. Could I be making more money working at a job I hate, yes! But being happy is more important than money. You could be the richest person in the world, but if you aren’t happy or living with purpose then it is really worth nothing. I came to the realization that after the calculations (cost of working outside of the home) I realized my actual take home pay was $600 a month. To have someone else raise my kids for a lousy $600 a month and be a grouchy, worn down, tired, unhappy mom. It just didn’t make since. It’s actually pretty easy to make $600 a home check out my other blog bringingmomshome.blogspot.com for more on this subject. #6 Help others. Kids have such open hearts and are full of compassion. My oldest son has such a tender heart. He notices when someone needs help. He asks me questions about people he sees that are down on their luck. And I think he’s old enough to understand. He likes to help and says things like “mom, that person needs a coat on” or “do you think that person wants a cheeseburger”? He is a smart little cookie. Do you find joy in helping or serving others? Why not find joy, by bringing it to others. Do someone small everyday to make a difference. This Christmas Eve I fed a homeless man in my neighborhood. I try to makr it a point to think about people who are in a bad situation. After my divorce I was once there. Here I was with no car or house, two kids under 3 and $100 to my name. That was almost two years ago. I lived at a womens shelter for a few weeks and with my mom. Thank god it was only briefly but that was such a humbling and scary experience. Through a series of events. A sweet friend of mine gave me an old car that she wasn’t using.I also met my current boyfriend who started out as a good friend that has helped me so much along the way. I’m forver grateful for the things he’s done for my boys and I. I wss able to find a job and a place and through working hard and never looking back life is so much better. I just look at people who are homeless differently now. I’m only one person so I can’t help everyone,but i do try to pay it forward when I can. I think there is no greater joy than feeling useful and helping someone in need. Happy new year!!!! Hope you have joyful and prosperious 2016! Recently while reading another blog I had somewhat of an awaking…it talked about enjoying the now and not always trying to base your happiness in terms of the future. I will be happy when I find my dream house, dream guy, finish my degree or land that dream job! I have to admit that I have been guilty of this. I think I kind of lived with this mindset, constantly focusing on future goals and thinking that happiness will be found within these goals. Going through divorce, nearly losing my son when he got really sick, moving, changing career paths, my other son being diagnosed with Autism and going back to school have all been eventa in my life that have occured in the past year. I realized that life is short and not everyday is a guarantee so I have made a the choice to live in the now and be happy and content today, not tomorrow because we have no idea what that day will bring, but just appreciate the moment. I feel like I have gone through hell and back so just having some calmness, spending time with my kids, writing, working on my shop, my blog and website have all brought me so much joy. Happiness can’t be bought or sold, it comes from being content amd happy where you are right now and making time to do the things you enjoy. For me it’s writing, creating and helping orhers. With Thanksgiving coming up I am trying to focus on what I love, not on what I’ve lost. Hope you can find a way everyday to find some peace, calm and contentment. Make time to take a step back and enjoy the little things. Just having a cup of coffee and reading a magazine or listening to my boys play bring me happiness and peace. Try to embrace these little moments. What the tech? The virtual interview. Technology…you either love it or hate it. But even if you hate it, you might as well just get on board because like it or not it’s not going anywhere. Hey maybe tomorrow that Delorian will be on the market…as if (oh wait that was the 90’s). Anyhoo, I just wanted to tell you about a rather weird and unfamiliar experience I have had in the past two days. I am interviewing for jobs, but get this, I have had two virtual interviews. What the heck is that you say? It’s a video interview that is done on platforms like skype and facetime. I also had to do interview video questions through a website called Onjobs. Onjobs (I had never heard of it) is a website where you basically create a video resume and profile and interview for the jobs of your choice. I really think this website is on to something and I feel like this is going to be the future of jobs interviews. This approach really seems like it would save companies a lot of time and money (and isnt that what everyone needs more of always?). I really found this to be a great experience, more of a personalized experience, in comparison to the boring, mundane, application and resume process. Update: I got a job offer for both jobs. Attention moms! Do you know how much you REALLY make? The decision to be a stay-at-home mom is one of the most difficult many new or prospective parents face. The main reason many parents feel it is not a possibility is because of their financial situation. How can a couple with two wage earners get by on one salary while adding another member to the family? It’s certainly not easy. Every family is different but they all have one thing in common: Nobody takes home their entire salary. That is where the “Cost of Work” comes in. Of Julie’s $25,000 salary, they would only see $6,050. Based on a 40-hour work week, this is only $2.91 per hour. The difference of $18,950 is Julie’s cost of work. Julie may be able to find work at home to make up the $6,050 gap in their earnings. While this example is specific to Joe and Julie, it is typical of many couples. For them, it may make sense to have her stay home. For you, the answer may be the same. The decision to stay home is one of the most difficult decisions families face. Only you can decide if it is right for your family. Just remember that you need to look at the cost of work just as closely as your salary when making this decision. Scott Danger is a C.P.A. with ten years’ accounting experience. He is a husband and father to 11-month-old Sydney. 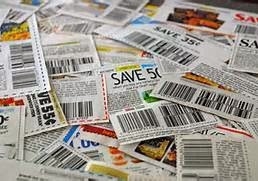 His column, Moneywise, can be seen on http://www.mommysavers.com. ATTENTION MOMS! Baby food .12 a jar plus other baby coupons! 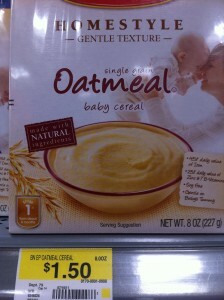 :: Walmart: Beech-Nut Baby Food for $0.12 per jar + more! I can’t guarantee that your Walmart will have these same prices, but it’s definitely worth checking out!